A recent study found that middle schools where students reported a "more positive" school climate had higher academic performance, and that changes in the school climate also correlated with changes in academic performance. School climate encompasses the social, emotional and physical characteristics of a school community. The study, produced by the Institute of Education Sciences National Center for Educational Evaluation and Regional Assistance, a division of the United States Department of Education, examined data taken from three sources: the California Healthy Kids Survey, the California Standardized Testing and Reporting program, and the California Basic Educational Data System. (The STAR program has since between replaced by the California Assessment of Student Performance and Progress System.) Researchers used grade seven data from 978 middle schools in California collected from the school years running from 2004-05 through 2010-11. California data was specifically used, the researchers stated, because it has been a "leader" among states in shifting its practices to incorporate school climate as an aspect of school performance. For example, the state has legislated districts to work with its community members to identify needs related to the improvement of school climate, to create action plans for addressing those needs and to figure out how progress will be measured. Those requirements are part of California's district funding stipulations. School climate is measured through a set of student survey questions that ask how students feel about six areas: safety/connectedness, caring relationships with adults, meaningful student participation, levels of substance use at school, bullying/discrimination, and student delinquency. Those schools with "positive" school climates showed high levels of the first three characteristics and low levels of the latter three. 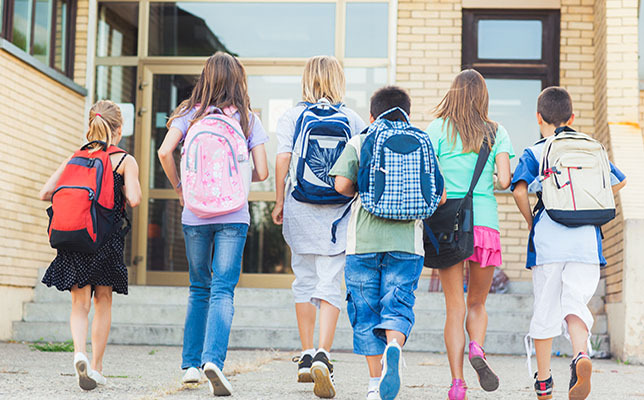 The researchers used regression modeling to examine the connection between the student-reported school climate and the students' average academic performance across schools. They also looked at how academic performance changed in relation to changes in the school climate. Both models controlled for racial and ethnic composition, the percentage of English learners, and the percentage of students eligible for free and reduced-price meals. Research has long asserted that a more positive school climate will produce higher academic performance. However, those studies have tended to focus on comparing academic performance across schools with different school climates using data collected "at a single point in time," according to researchers Adam Voight, director of the Center for Urban Education at Cleveland State University, and Thomas Hanson, associate director of the Health & Human Development Program at WestEd, an education research firm that runs the Healthy Kids survey for California. What has been less studied is how changes in a school's climate over time are associated with changes in the school's academic performance. This research project undertook to examine just that kind of longitudinal impact. Schools with a more positive student-reported school climate had higher average academic performance. For example, a school with a school climate that was 10 percentage points higher than that of another school had an average test score that was 2.5 percentage points higher in English language arts and 3.4 percentage points higher in math. The test score tie was strongest for three elements of school climate measurement: safety and connectedness, substance use at school, and student delinquency. School-level changes in student-reported school climate over time were often related to simultaneous changes in academic performance over time. A 10 percentage point increase in school climate was associated with a 0.5 percentage point increase in the average English language arts test score and a 0.7 percentage point increase in the average math test score over a two-year period. The impact of changes in school climate on academic performance within a school over time was smaller than the differences in academic performance across schools with different school climate values in a given year. For example, the researchers explained, in a given year schools at the 50th percentile on school climate were at the 48th percentile on math performance, on average, while schools at the 60th percentile on school climate were at the 51st percentile on math performance. This would suggest that an improvement of 10 percentage points in school climate would be associated with an average 3 percentage point increase in academic performance. However, what the study found was that over time, schools with a 10 percentage point increase in student perceptions of school climate averaged a less than 1 percentage point increase in academic performance. Thus, the report noted, even though schools with positive school climate values had substantially better academic performance than those with lower school climate values, the differences weren't an accurate guide for predicting the magnitude of the increase. There might be two reasons for that, according to the researchers. First, there might be more longitudinal variation in school climate than in academic performance across the seven years of data analyzed. Second, school climate could be affected by "random temporal factors," whereas differences across schools in school climate might reflect true difference in school climate; the longitudinal association could "understate" the longer-term impact of changing school climate on academic performance. "How are middle school climate and academic performance related across schools and over time?" is available on the IES website here.